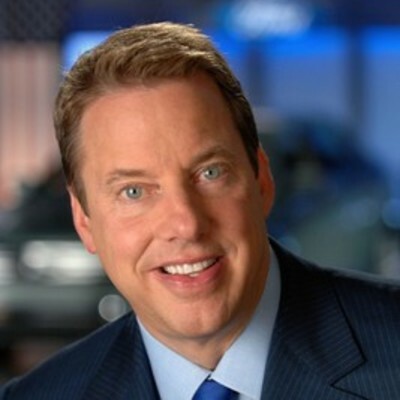 As Executive Chairman of Ford Motor Company, William Clay Ford Jr. is leading the company that put the world on wheels into the 21st century. Mr. Ford joined the Board of Directors in 1988 and has been its chairman since January 1999. He serves as chairman of the board’s Finance Committee and as a member of the Sustainability Committee. He also served as chief executive officer of the company from October 2001 to September 2006, when he was named executive chairman. Mr. Ford joined Ford Motor Company in 1979 as a product planning analyst. He subsequently held a variety of positions in manufacturing, sales, marketing, product development and finance. During the breakthrough 1982 Ford-United Auto Workers labor talks, which launched the employee involvement movement that revolutionized the industry, he served on the company’s National Bargaining Team. In 1983 he began a 12-month course of study as an Alfred P. Sloan fellow at the Massachusetts Institute of Technology. He was elected chairman and managing director of Ford Switzerland in 1987. As head of Business Strategy for the Ford Automotive Group in 1990, Mr. Ford helped develop guidelines for establishing low-volume manufacturing plants in emerging markets. After being appointed general manager of Climate Control Division in 1992, he led a profit turnaround and a major improvement in product quality. He also established the company’s first wildlife habitat at a plant location and the first automotive plant in the world to use 25 percent post-consumer materials in all of its plastic parts. While he was general manager the division won the President’s Commission on Environmental Quality Award. Mr. Ford was elected a company vice president and head of the company’s Commercial Truck Vehicle Center in 1994. He left that position in order to assume the chairmanship of the Board of Directors’ Finance Committee in 1995. A lifelong environmentalist, Mr. Ford is committed to increasing shareholder value by developing products that please customers and benefit society. Under his leadership, in 2000 Ford Motor Company published its first corporate citizenship report outlining the economic, environmental and social impact of company products and operations around the world. In 2004, the company completed the world’s largest brownfield reclamation project, the restoration of its Ford Rouge Center in metropolitan Detroit. Mr. Ford also championed the Ford Escape Hybrid, the world’s first hybrid-electric sport utility vehicle, which was named North American Truck of the Year in 2005. Ford Motor Company’s current vehicle line-up has received widespread recognition for its innovative driver assist and fuel-saving technologies such as six-speed transmissions and EcoBoost direct-injection turbocharged engines, as well as its lineup of conventional hybrid, plug-in hybrid and full electric vehicles. Looking to the future of transportation, in 2012 at the Mobile World Congress, Mr. Ford outlined the Blueprint for Mobility: the company’s vision of what sustainable transportation will look like in the years ahead, as well as the steps it will take to get there. As part of these efforts the company introduced an automated Fusion Hybrid research vehicle in 2013 and is conducting testing of vehicle-to-vehicle and vehicle-to-infrastructure technologies in Aachen, Germany and Ann Arbor, Michigan, as well as a rural mobility pilot program in Tamil Nadu, India. Mr. Ford’s charitable, volunteer and business efforts are highlighted by his commitment to the city of Detroit. As vice chairman of the Detroit Lions professional football team, Mr. Ford led efforts to build a new, environmentally friendly stadium in Detroit that was the site of Super Bowl XL. Through Detroit Lions Charities, he helped develop the Detroit Police Athletic League youth football program into one of the largest in the country. He is Chairman of the Board of the Detroit Economic Club, a member of the Board of Trustees of The Henry Ford and the Henry Ford Health System, and is Chairman of the New Michigan Initiative of Business Leaders for Michigan. He also served on the Board of Directors of eBay Inc. from 2005 to 2015. Mr. Ford was inducted into the Irish America Hall of Fame in 2011. He also is a founding partner of Fontinalis Partners, LLC, a Michigan-based investment firm that acts as a strategic operating partner to transportation infrastructure technology companies around the world. Mr. Ford was born in Detroit in May 1957. He is an avid fly fisherman and car enthusiast, enjoys playing hockey and tennis, and is a black belt in the martial art of Tae Kwon Do. He holds a bachelor of arts degree from Princeton University, a master of science degree in management from Massachusetts Institute of Technology (MIT), an honorary Doctor of Environmental Sciences and Engineering degree from Koc University, an honorary doctor of laws degree from the University of Michigan and an honorary doctor of humane letters degree from Bradley University.